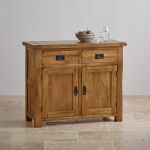 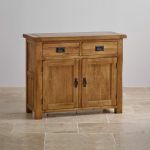 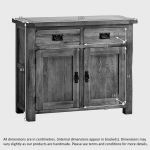 The Original Rustic Solid Oak Sideboard is an elegant piece of furniture, which will provide not only ample storage but rustic farmhouse charm to the dining area or kitchen. 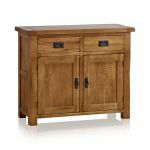 The small sideboard has two drawers over two cupboards, and the solid oak top has handsome wooden dowel detailing and chamfered edges. 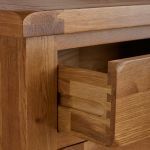 The drawers are made with solid oak backs, bases and runners and have hard-wearing dovetail joints as standard. 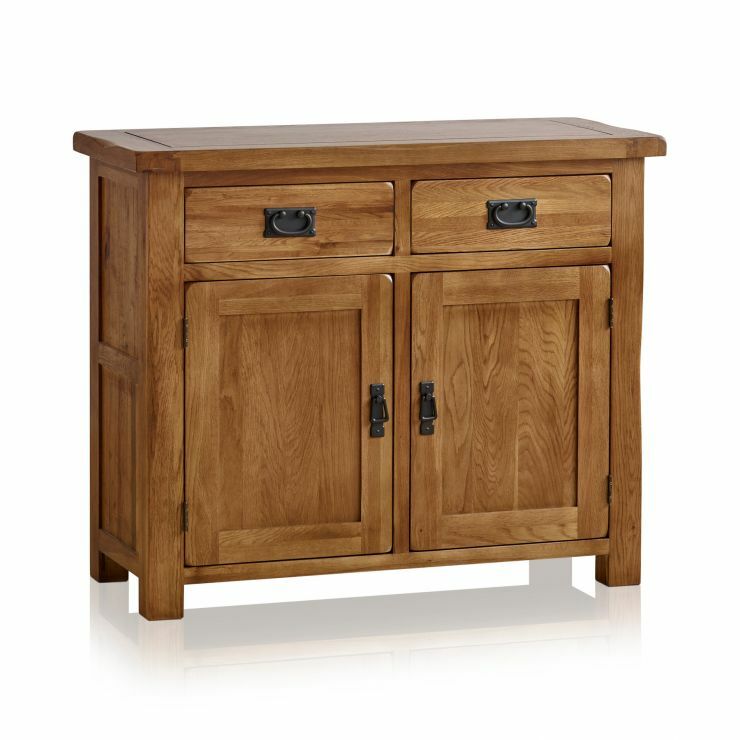 Behind the cupboard doors there is a sturdy shelf, splitting up the storage space effectively. 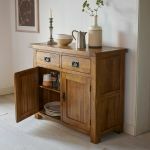 The doors and the drawers feature antique style blackened bronze curved drop bar handles and the wood is finished with wax which gives a darker oak effect to the wood. 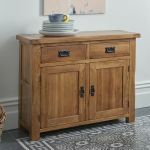 The benefit of investing in traditional furniture is the versatility; the Original Rustic Solid Oak range looks as great in a city apartment as it does in a country house.